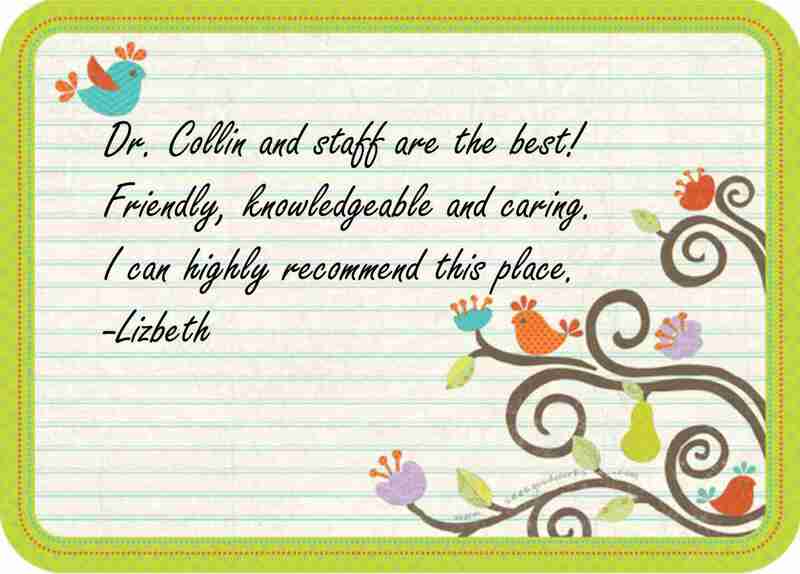 Check out all the happy Client testimonials at Collin Chiropractic. Call today to see what the hype is all about! Proof that chiropractic adjustments rock! 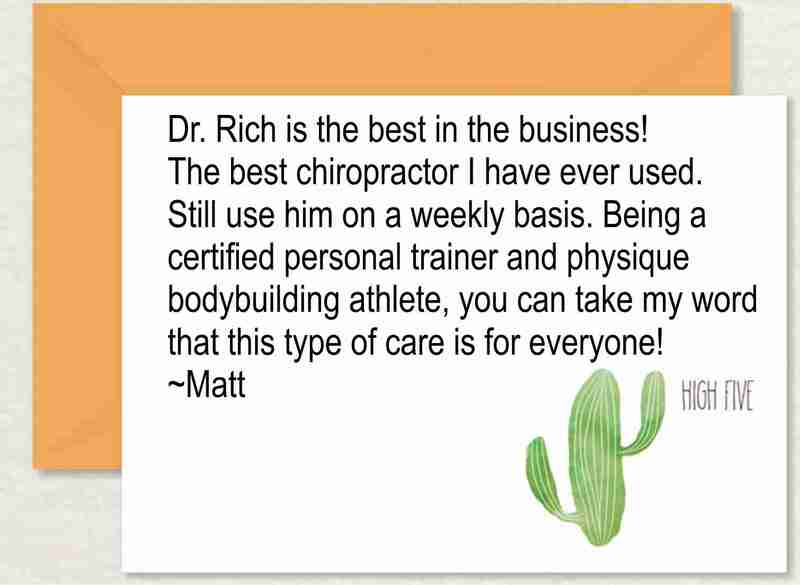 "Rich is an absolute expert in sport rehab and keeping athletes pain free and in motion." "Dr. Rich takes his time to determine where adjustments are needed instead of just doing the same thing over and over like other chiropractors. He truly seems to care about my health. My whole family gets adjusted by Dr. Rich." "Super knowledgeable and eager to help. THE DOC ROCKS!"